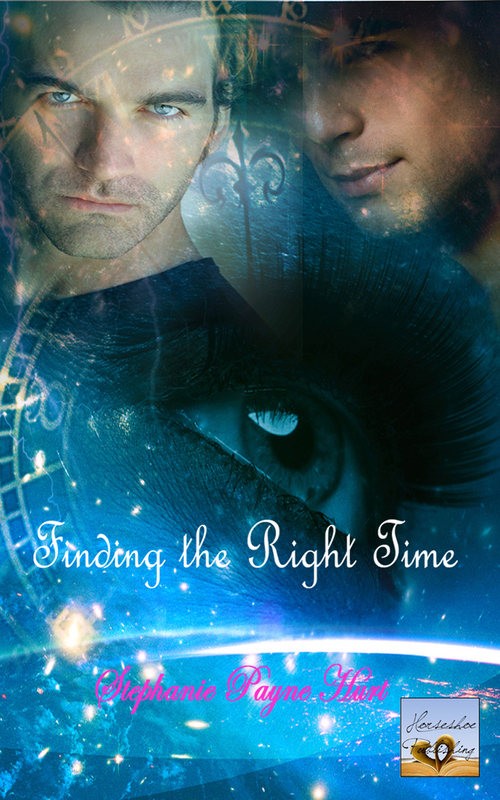 Just in time for Halloween, throwback to one of my older releases, “Finding the Right Time”. This book is really different as it slips in and out of the past. I’ve had mixed reviews on this one. It’s in the revision stage at the moment, but I still love it. This story came to me in a dream and it pulled me into the mystery of time travel. You’ll fall in love with this unique love triangle that spans 100 years. Once the story starts you just have to know what happens and who she chooses, but the surprise ending will leave you saying, What?! The revised edition will be available soon, but the story will stay the same. Romance can span the ages and this story sets out to prove it. True love never dies, even when one of the participants does. As I said, it’s a good read for Halloween. “I believe that when someone has unfinished business that maybe they stay here to finish that business. Maybe that’s what a ghost is, someone with unfinished business.” He watched her reaction to that and noticed that she looked a little perplexed. “Are you saying there are ghosts here in the cemetery?” A shiver ran down her spine. She laughed and looked back at him. “You’re kidding right.” She quit laughing when she saw his face. He wasn’t kidding and she’d hoped he was. “I’ll take my chances.” She turned back to the head stone and read it. “Lilliana Faith Kennedy – Loving wife of Rafe, caring Mother, dedicated Friend. Born August 8 1839 – Died November 20, 1899. Married on August 12, 1965. The love they shared will never die, but will last forever…” She sat back on her heels and tried to hide the tears that suddenly welled in her eyes. The words were so familiar to her and she couldn’t figure out why. “I tried to warn you. I think it has a meaning more than just a saying on a grave marker. It carries a promise.” He looked down at her and he had a sudden feeling of protectiveness. Why did he feel like he knew her from another time? He didn’t want to tell her how he felt because it might scare her. When he saw her the first time it was like a hit in the chest. His heart beat so fast that he couldn’t even think straight. Was it just the fact that they both were sensitive to time? She stood up and walked over to the old oak tree. It felt as though a slight vibration came from the old tree. She looked back to see if Anthony felt it, but he seemed preoccupied at the moment. She reached out and placed her hand on the bark. Then suddenly the wind picked up and the chimes got louder and louder. Categories: Uncategorized | Tags: #amediting, #amwriting, Author, Flashback, Intrique, Romance, time, Time Travel, Time Travel Romance | Permalink. Writing doesn’t work like a light switch. You can’t just switch it on and off at your whim, can you? I sometimes struggle with writer’s block. It feels as though the writer in me has been turned off, but it wasn’t my choice. Some days this scares me because I love to write, what if it doesn’t flip back on? So, what controls your switch? Good question huh! I’ve worked on this question for a while and here’s what I came up with. It’s not an exact science, but it makes sense, for me that is. Life controls my switch a good bit of the time. I’ve realized that when something is going on in my life, usually something stressful, life turns the switch off. No matter how hard I try, what comes out of my mind through my fingers isn’t satisfying. So, control the stress, keep the switch on. Easier said than done. Guess what else controls your switch, other story characters. I noticed that when I decide to work on just one story, another story’s character steps in and holds the switch. It’s as though they’re saying, ‘work on my story or the switch goes off, your choice’. The only way to deal with this is to at least give the other story a few lines, then the switch is untouched. Does this sound crazy? Think about it. How many times has your switch went off and you struggled to get it back on? Did you have something going on or was there another story pushing at you? Now you’re seeing what I’m talking about. Try to push stress out when it starts in and give the other characters looming in your brain a little love, it might help. Categories: Uncategorized | Tags: #amwriting, Authors, avonromance.com, Blocks, brain, characters, Control, crazy, Memory, On and Off, Switches, time, Writing | Permalink. It’s funny how the writer’s brain works. Some days I can push the characters voices away so that I can do my accounting or other work that needs to be done. But most days they seem to take over my thoughts and even the simplest tasks are hard. The only way to get them calm is to write or at least get a outline down on paper. One example of my mind drifting was discovered yesterday morning at breakfast. I love apple cinnamon oatmeal. When I was at the grocery store last Friday I picked up a box of my beloved oatmeal or so I thought. I all but forgot I’d purchased the box of oatmeal until yesterday. I smiled happily as I heated my water and mixed my oatmeal. I did notice that the oatmeal had pieces of something red in it, but I thought it was made from red apples, so hence the red peels. As I took the first bite, anticipating the sweet apples and wonderful cinnamon flavor I made a face. This wasn’t right. I took another bite and still nothing familiar. I got up and walked to the kitchen, curious about why this tasted different. That’s when I made the discovery. I’d purchased apple/cranberry oatmeal. Giggling at my goof up, I remembered that a story line was niggling my brain as I shopped and evidently I wasn’t paying attention to my purchases very carefully. At least the oatmeal is flavorful and the cranberries are good for me. I’ll eat it and remember my mind drifting. I’ve noticed many times in my life when I would drift away to another time, place or most anywhere but where I need to be. But be warned, when driving it’s not good to drift too far away. Categories: Uncategorized | Tags: Authors, Drifting, driving, Minds, Oatmeal, places, time, wonderful, Writing | Permalink.